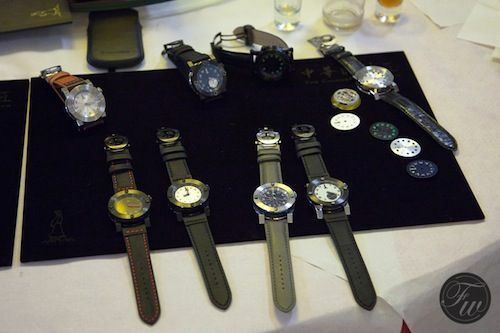 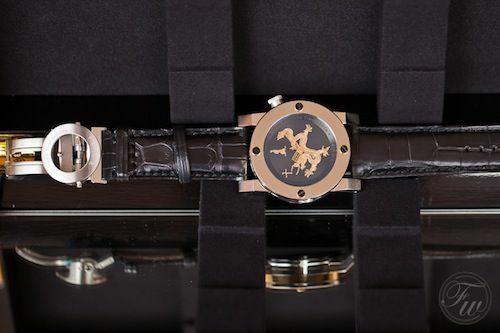 Last Wednesday, Fratellowatches joined the introduction of ‘The Chinese Timekeeper’ in Amsterdam. 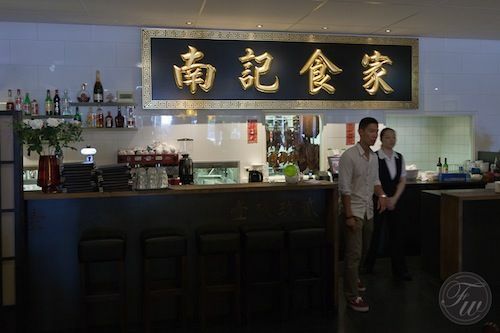 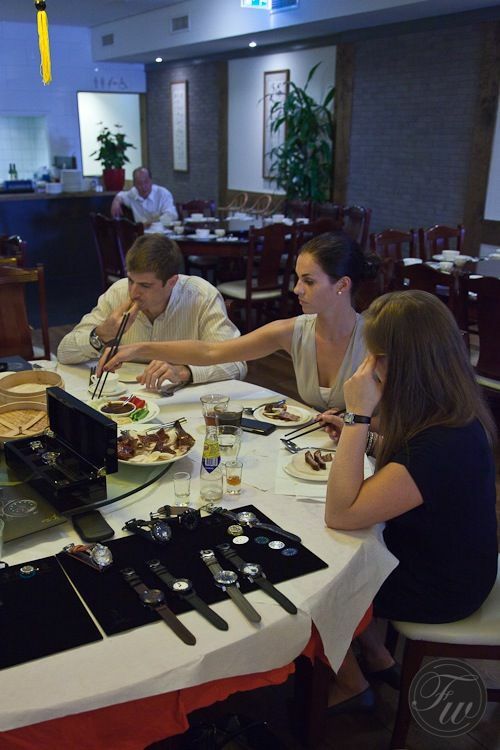 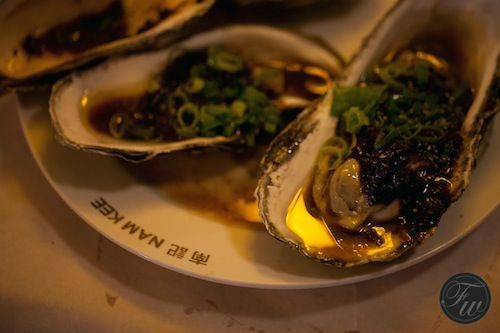 The event was hosted by Ace Jewelers (official and exclusive retailer in Europe) and to get in the right mood, Ace invited us over to Nam Kee, an award winning Chinese restaurant where the event was being held. 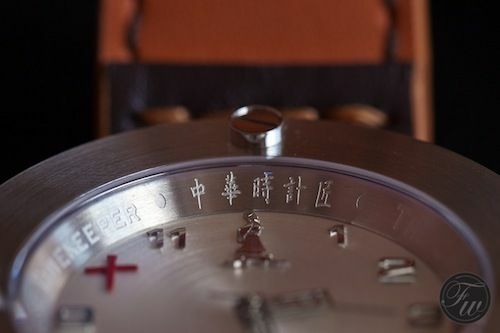 After weeks of poor summer weather the Sun finally showed up – almost a hint for what was coming- so we headed over to Amsterdam to have a look at the Chinese Timekeeper (or CTK) watches. 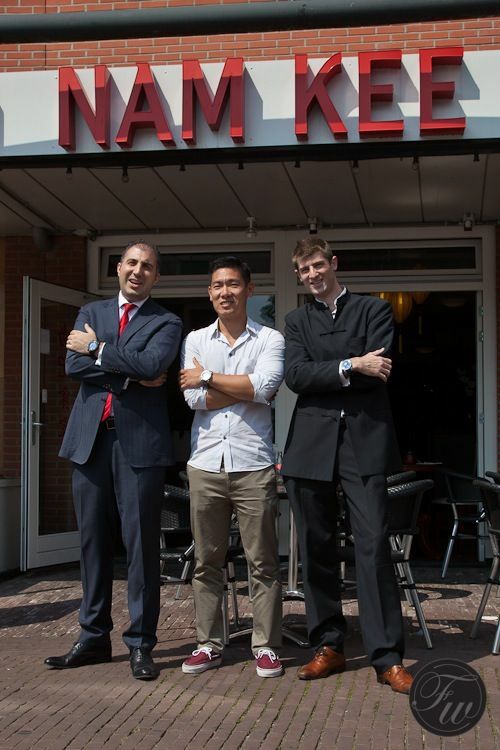 We were welcomed by Adrien Choux of CTK, Alon Ben Joseph (CEO Ace Jewelers) and Cliff Chan (owner Nam Kee). 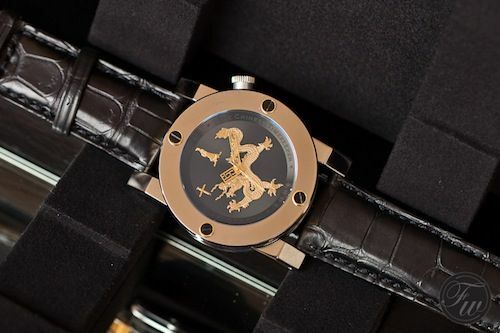 Adrien Choux of CTK brought a wide variety of the watches and gave a passionate explanation of the brand, the watches and details of design and inspiration that has gone into the watches. 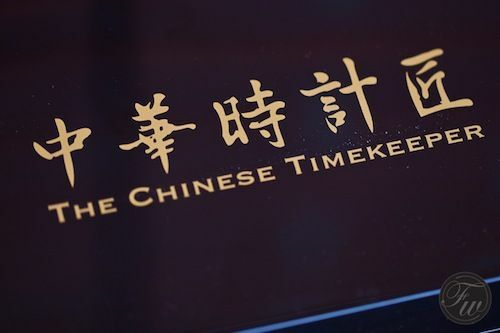 CTK’s 44mm watch case for instance, is inspired by elements of an astronomical clock tower built in Kaifeng back in the 11th century by astronomer Su Song. 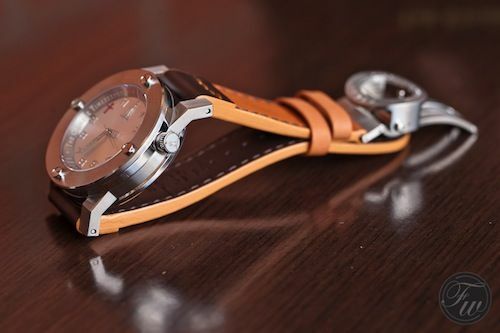 The case is quite thick but wears very comfortable due to the lugs that are following the shape of the wrist. 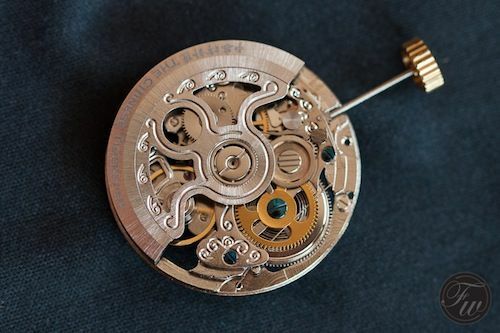 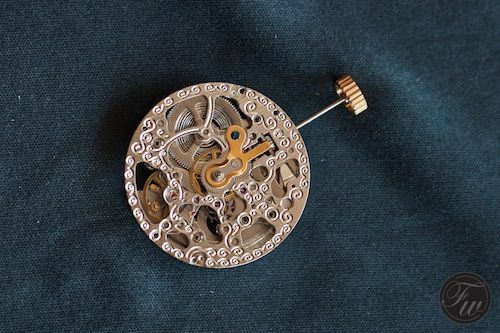 The movement is based on a Tianjin movement, modified for CTK. 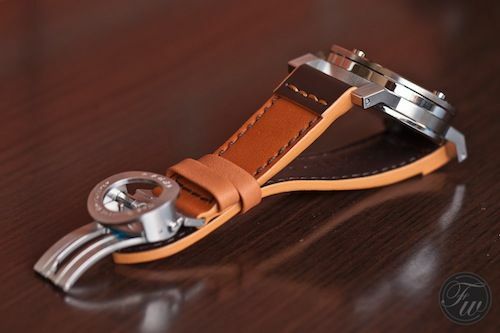 Straps are made out of leather and the nicely crafted folding clasp performs very smooth. 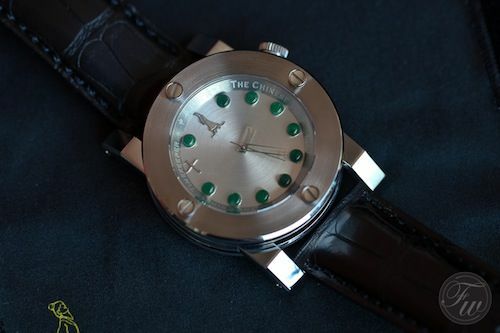 The CTK watches are available in 6 varieties and are limited between 18 to 50 pieces only. 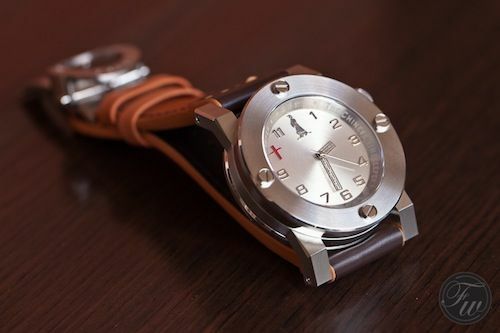 The watch comes in a great looking box with two hidden side drawers that is being opened by a light push. 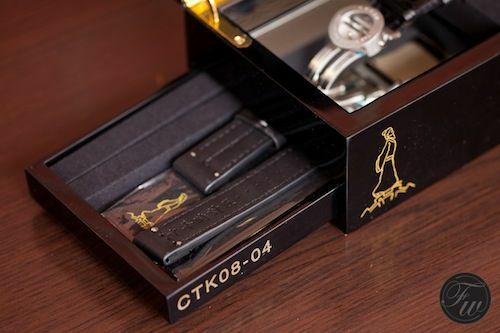 The left side drawer is holding the extra strap and tools necessary for swapping the strap. 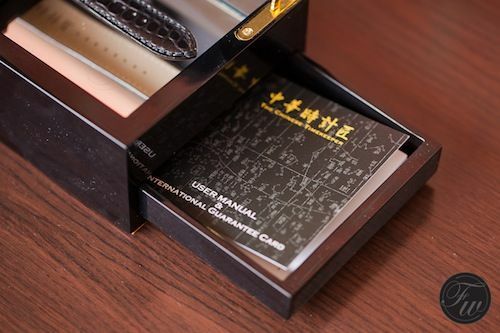 The right side drawer contains the paperwork and will probably not be opened a lot unless you use the case as a jewelry box. 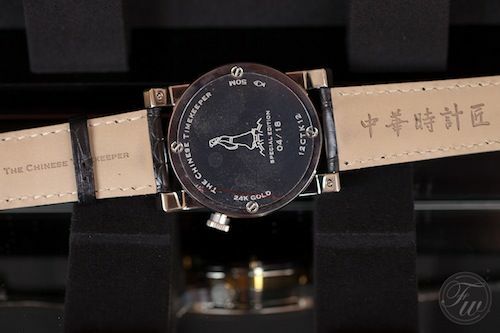 Notice how the watch- and model number are printed on the left drawer. 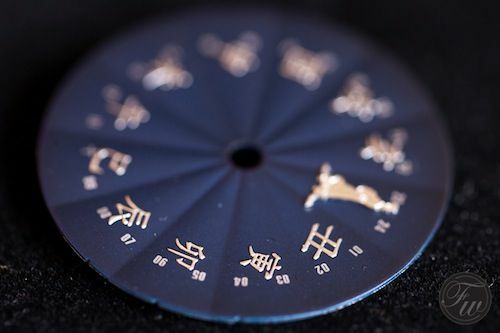 Chinese numerals are known for their symbolism and CTK takes that quite seriously in their designs. 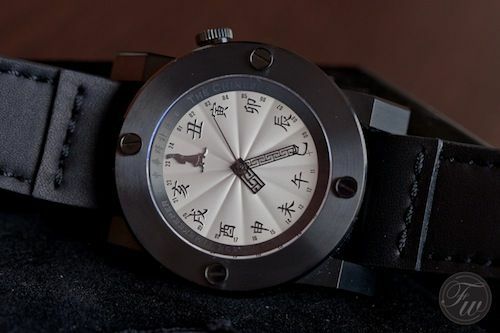 On several models the index at the 10 o’clock position is replaced by the Chinese symbol. 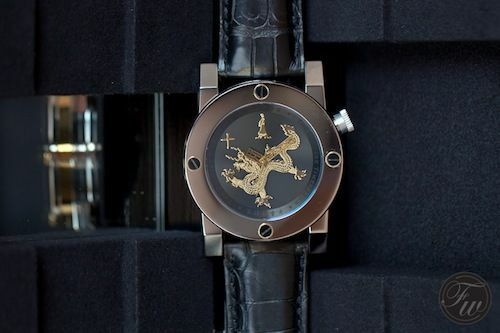 Ten is (amongst other meanings) regarded as the most perfect of numbers in Chinese symbolism. 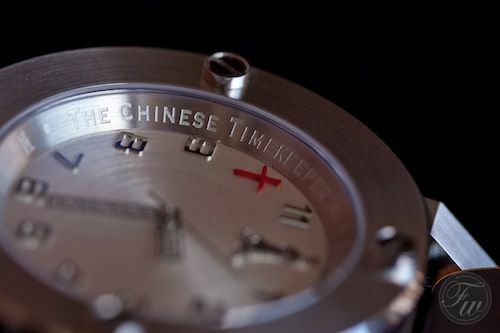 Our overall impression makes us enthusiastic about the CTK timepieces. 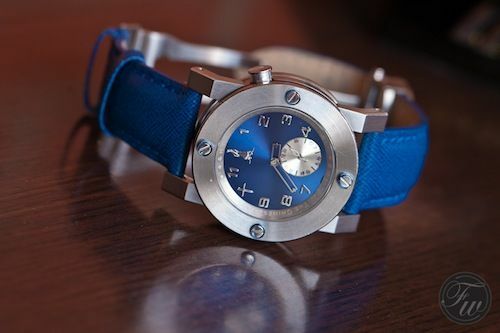 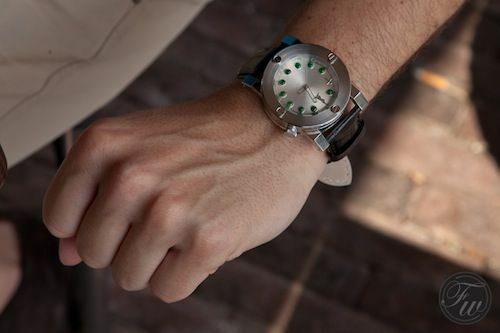 With its original design being a true eye-catcher and – despite the big case – a very comfortable watch on the wrist. 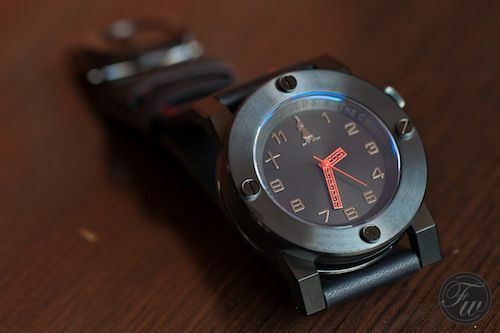 We wouldn’t be honest if we didn’t mention that the random position of the screws in the bezel did distract us some time.